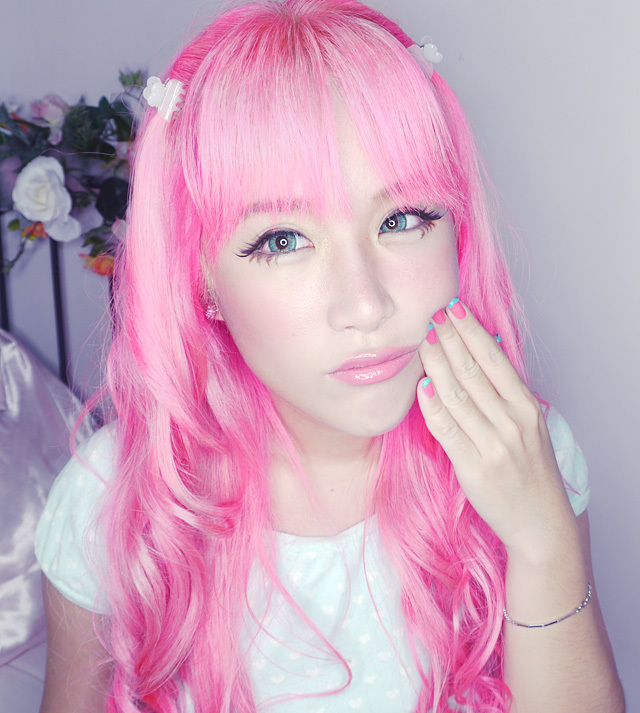 Want to know the secret behind Japanese ladies' bouncy, porcelain skin? I bet most of you already know that causing stress on your skin causes premature wrinkles! Yet I never knew that Cleansing, which is one of the essential steps of skincare, causes the most stress of all! The Japanese girls use patting motions instead of harsh wiping when they are toning, and during the application of moisturiser, they use their middle and fourth finger to pat the moisturiser in. Me neither. It's a foaming net! 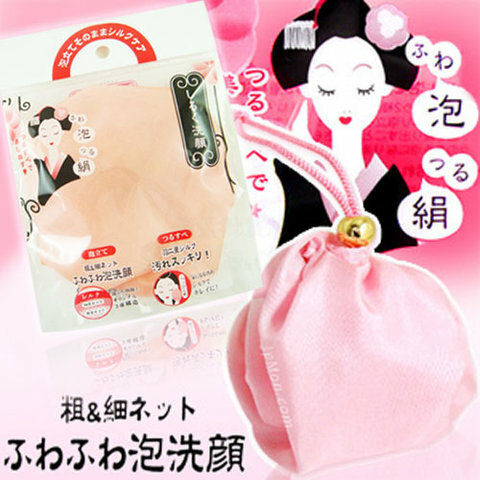 This foaming net creates foam from normal facial wash. The end result is the fluffy foam that minimizes stress on the skin, and cleaner skin with the finer bubbles. This extra step is of course really a hassle! As it is we girls are so busy with work and school... No thanks for having to use the silly foaming net! 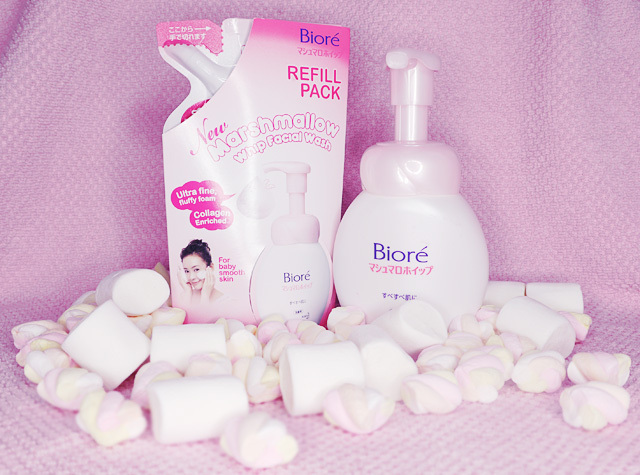 And here's Biore Marshmallow Whip Facial Wash to the rescue! Their magical formula creates instant quality foam with just one PUMP! Talk about easy! 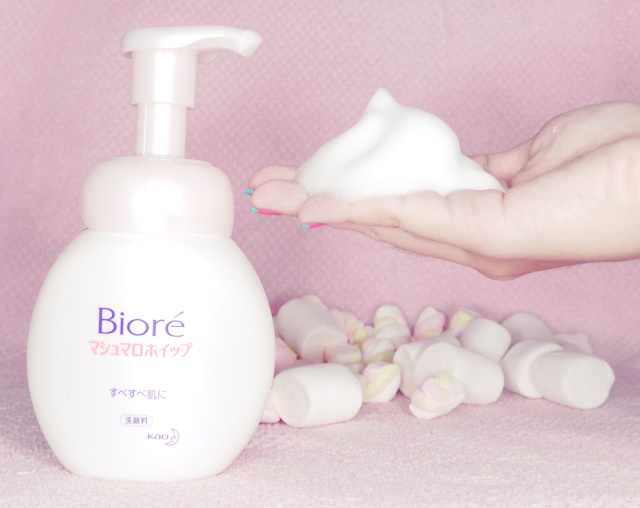 Biore Marshmallow Whip Facial Wash also contains collagen and is moisturizing. The ultra fine foam is made up of bubbles that are even smaller than pores! Of course, smaller bubbles means better and more thorough cleaning. 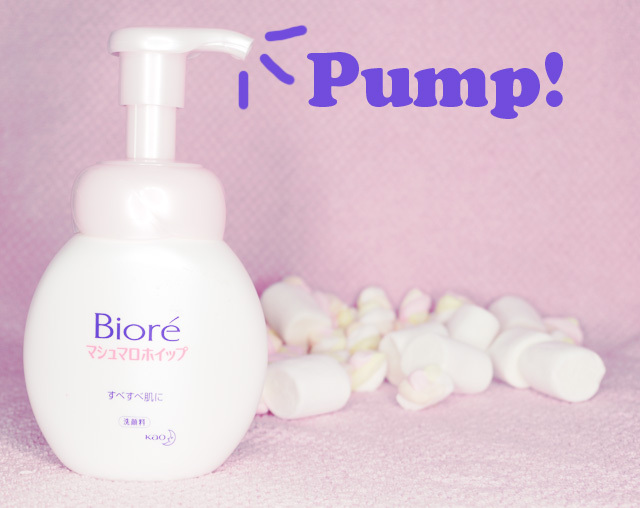 Let's put Biore Marshmallow Whip Facial Wash to the test! Can it create the ideal foam? Doesn't drip and is super dense! I've only tried one other brand of foaming facial wash before and I hated it. 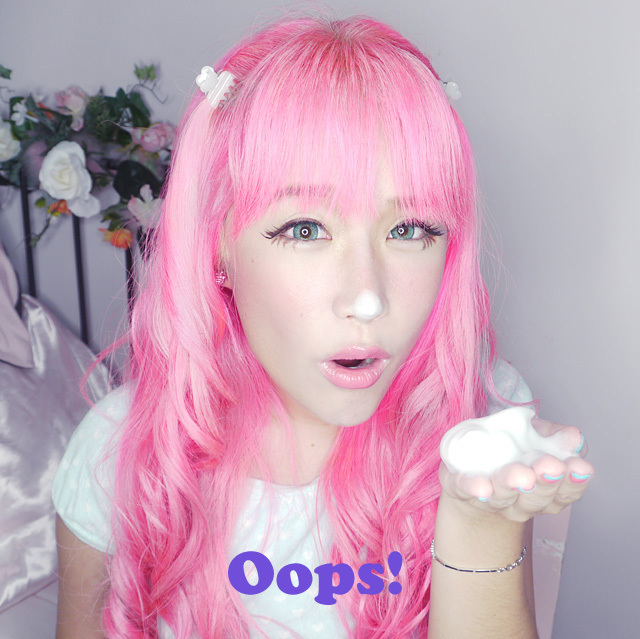 The foam that came out of the bottle is not dense at all (big bubbles) and dissolved into a wimpy weak solution after I put it on my face. So when I received my Marshmallow Whip, I expected it to be the same but I was very pleasantly surprised! After rubbing on the foam for a bit, instead of dissolving into a water-like substance the foam became a thick, creamy... eh... cream! It spreads very well and feels super nice when you are doing a gentle rubbing motion! Go and try! 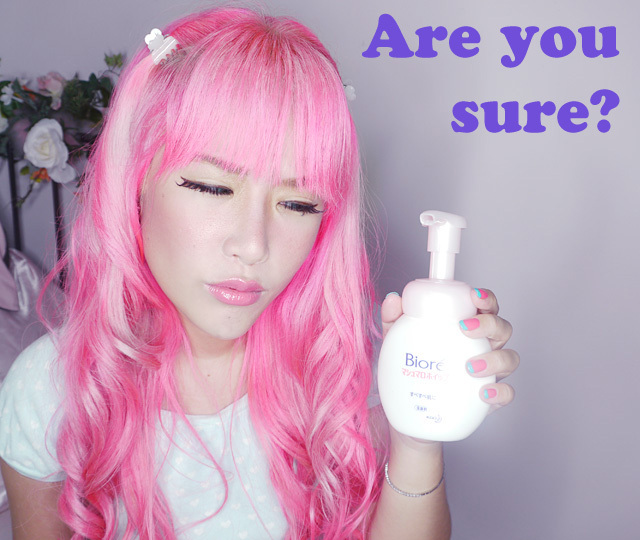 I love it that Biore has refill packs! Save the Earth and save money! Bored? Wanna play a game? 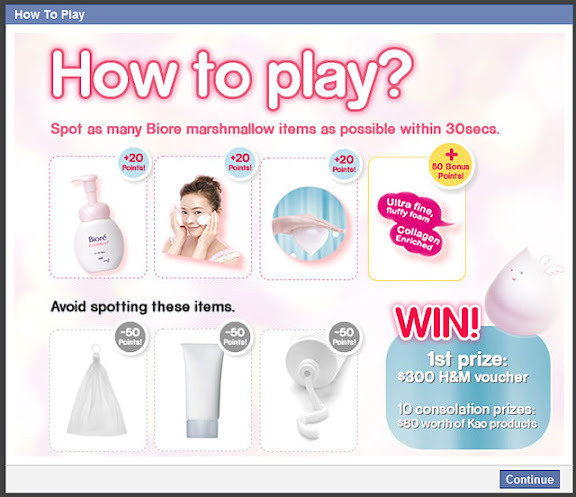 You can go to Marshmallow.com.sg to give Biore Marshmallow Whip Facial Wash's new facebook game a try!